Blog Archive Lost Campers Blog Within A Blog Campaign-Submit your blog post! What is all of this Blog Within A Blog stuff about? Here at Lost Campers, we get the privilege of meeting some amazing people like you who rent from us to experience a different way of travelling and outdoor adventure. We love when our customers share their campervan adventures with us by way of photo blogs and travel blogs. The staff love seeing these fantastic works and photos, and we thought hey; others would enjoy this too! This has inspired us to start the Lost Campers Blog Within A Blog Campaign. 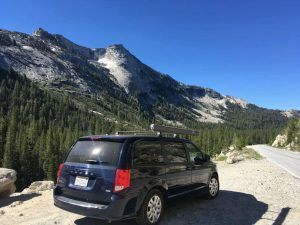 We are sharing blog posts submitted to us by our fabulous customers on the Lost Camper’s company blog to help bring more traffic to these creative blog spots and to share the first-hand perspective of this kind of travel and rental. Yes, that is right…a blog within a blog! We want to share your first-hand experience and unique perspective with visitors to our blog and with our followers on social media. And we just ask that you include a link to our website in return to keep the sharing going! We hope that this will inspire others to visit new places and will bring your blog some new visitors and exposure while we are at it! We have thousands of followers on social media and our company blog is shared on Instagram and Facebook and used as a go-to reference for great travel ideas through our website. Sharing is caring, and with all of the crazy stuff going on in the world today, we all need more smiles and positivity, more inspiration and creativity, more excitement and spontaneity. More van life! *All submissions will be screened to make sure content is appropriate. Sharing will be granted based on approval. Below is a summary of some of the submissions we have received so far! Amber McDaniel who traveled with three friends on a California climbing adventure and had legendary #vanlife experience with a Lost Campers Hotel Sierra campervan. Amber’s down to earth blog is fun, includes some fantastic photos and will inspire rock climbers and wanderers everywhere! Thank you, Amber, for sharing your fantastic blog with us! We look forward to your next adventure with us! Check out Amber’s “Always The Adventure” blog post in full here!! Lost Camper Kel Bolt from New Zealand. This awesome blog Leave to Roam has a lot of great tips for budget camping. They took one of our budget campervans for a trip around California. Thank you Kel and Alistair for sharing your experience! You can also find these experienced travelers on instagram @leavetoroam and Facebook as well. Check out Kel and Alistair’s wonderful leave to roam blog post HERE! 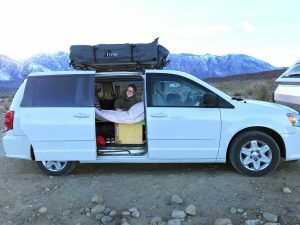 Chelsea Turgeon has contributed an awesome blog post about her trip with LC Van “Tillie” to explore Utah’s Mighty 5. Her blog is called the Turquoise Traveler. It is a fun and captivating read, so check it out and you can also follow her many travels on Instagram @theturquoisetraveler. Ready to book your van life experience? Click here to make a reservation.